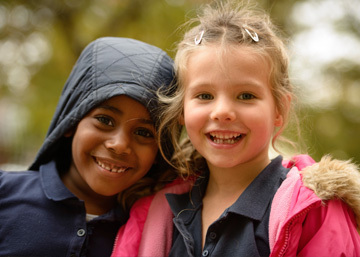 Integrated schools are providing long-term academic and social benefits to students. Supporting innovative education opportunities can expand quality education to underserved students, helping all children prosper. One education practice that caught our attention is the “diverse by design” movement. This movement entails building schools that foster intentional inclusiveness in the classroom, in extracurricular activities, and in the community, so that all students have equal access to opportunities, no matter their racial, socio-economic or geographic differences. Many leaders, including Martin Luther King, Jr., have championed diversity within classrooms as a means of increasing opportunity for all students, by exposing children to diverse ways of thinking and by spreading resources more evenly across racial and socio-economic lines. Through extensive research and interviews conducted with pre-eminent thought leaders and researchers, as well as “diverse by design” school practitioners, we learned that there are a growing number of successful charter schools that are intentionally integrated. The unfortunate reality is that schools are more racially and socio-economically segregated now than they have been in a half-century. Yet, research shows that fully integrated schools provide substantial, long-term academic and social benefits to the entire student body while also helping to break inter-generational cycles of poverty. A 2015 study by the University of California-Berkeley indicates that black adults who had attended integrated schools – when compared to their counterparts or own siblings who had grown up in segregated schools – were less likely to be poor, suffer health issues or become incarcerated. They were also more likely to go to college. 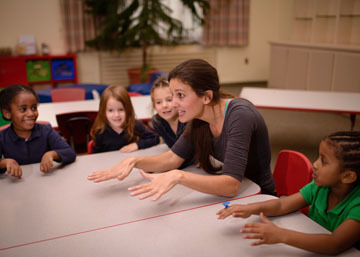 Teacher and staff training are integral to fostering a culture of inclusion. Creating equitable access to resources like highly qualified teachers, challenging curricula and private and public funding. However, the benefits of integrated schools don’t come automatically. Schools have to refine strategies and best practices over time, as they can face a variety of challenges in trying to maintain integration. For example, state or city policies may not permit weighted lottery systems. It can take a lot of resources and staff to recruit properly and provide multi-lingual documents for families. The same is true for the time needed to monitor residential patterns to maintain racial and socio-economic balance in schools. Without vigilance on the part of school staff, administration, and the community at large, desegregation can negatively impact students. Assimilation, lower expectations, disparate disciplinary measures, and segregated classes and tracking can reduce the likelihood a school will maintain its reputation as a high-achieving institution for all students. Intentionally integrated schools also need to be ready to provide additional support to disadvantaged students and families. Despite the challenges, positive outcomes are achievable. Capital Impact aims to fund schools willing to rise to the challenge and create and maintain diverse by design school campuses. Promoting the benefits of integration to students, families, and communities. 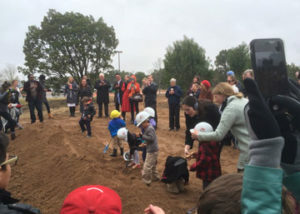 Montessori for All students help break ground on their “diverse by design” school building. 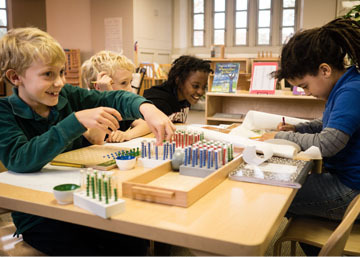 Capital Impact has begun financing charter schools that we feel are successfully implementing this model, including High Tech High in California, E.L. Haynes Public Charter School and Lee Montessori Public Charter School in Washington, D.C., and Montessori for All in Texas. Capital Impact has presented these findings, in partnership with thought partners and schools at the National Charter School Conference, the Central Valley Leadership Program, and a gathering hosted by the Diverse Charter Schools Coalition. These schools are promoting academic excellence for all by creating inclusive and nurturing environments in which all students have equitable opportunities to succeed, and we look forward to collaborating to continue this progress. For more about how Capital Impact is working to support the “diverse by design” model, we invite you to attend our upcoming session this March at the California Charter Schools Conference in San Diego. If you are unable to meet our team there, learn more about our overall education work and strategy behind why we finance charter schools.